I don’t know about you, but I often enter my home office(my basement) and wonder, “How can I Improve productivity?” While my kids are running around shooting me with Nerf Guns. You must have a quiet space and quiet time. If you’re at work, put up a “Do Not Disturb” sign on your cubicle or office door. IF you’re at home, make sure your spouse and kids know, you are NOT TO BE DISTURBED. Often times, we are interrupted most my emails or your phone ringing. I’ve recently updated my email and voicemail l to say “Due to high workload, I am currently checking and responding to email twice daily at 12:00 PM and 4:00 PM. Outsource what you can. I stink at tech stuff. So, I recently outsourced some website design stuff, to a friend of mine that is much better at that stuff than I am. But, you also can outsource to people in China and India. When outsourcing anything that decisions must be made on, make sure you have a CLEAR set of rules to go by. I recommend having a daily list of activities. You also should have 3-4 non-negotiable activities on this list. Activities that you MUST do. Quite often, I don’t accomplish all that I set out to do, but when I have those 3-4 must-do’s, I knock those out. If you’re like me, sometimes your day gets away from you… Don’t beat yourself up and be down on yourself. This is counter-productive. Just remember, tomorrow is a new day. Start the next day right and get back on track! Plan phone calls to leads, prospects, and follow ups, in advance! Every day at 6 PM, I plan my following day. My 3-4 MUST DO activities along with the phone calls I’m going to make. IF I don’t do this, I usually forget to make those calls. So for me, this is very important to plan ahead. Definitely resonates with me! I quickly found I had to plan my time so I could be more productive. Thank you! I think everyone always needs a little review on this..Thanks for reading! I live in a 1 bedroom apartment with my wife. Way to easily to get distracted. I get up 2 hours earlier so I can get my work done. 1 Bedroom Apartment makes it tough to get your peace and quiet! Glad you found a way! 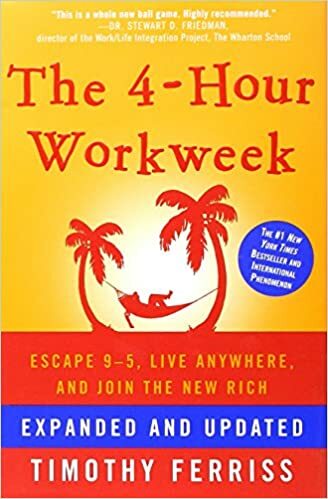 I’ve got the 4 Hour Work Week on my reading list! The biggest takeaway for me is to outsource! Thank you Phil for those awesome nuggets. It really reminded of the steps to take to be productive and grow my business. Awesome Rose. I’m happy to be able to help. Have a blessed Sunday! Very valid points for productivity. They are a must so that you can treat your business like a business and not a hobby. I’m happy to have been able to provide some value Linh. Thanks for reading and your feedback! Thank you for reading and the feedback Marcin! Awesome tips to improving productivity Phil! Great book! Reading it now!